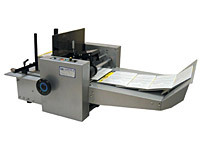 Thermal transfer digital printer is an advanced coding and dating system for folding carton printing including barcodes. Thermal transfer Can print on items up to 12 inches wide. Thermal transfer for folding cartons has 300 DPI resolution. 17 different rotatable fonts. Will print 1 D and 2 D bar codes. 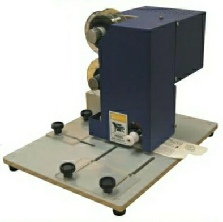 The machine uses a ‘center feed’ to move folded carton from a magazine. This systems allows irregular shaped items to be feed. It then uses a high definition thermal transfer printer to print directly on the pouch. 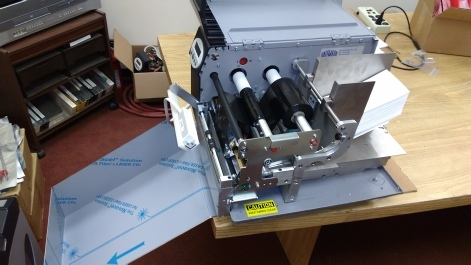 Case Coding with in-line ink jet printers. Also in-line box coders for variable information on one side of a carton. Logos, graphics and bar codes can be added. Industrial reliability, low cost and low maintenance.